First plantings were in 1992 and just less than 8 acres were planted. The remaining three acres were planted in 2005 and 2006. The first vintage was 1997 with the first wine, a Pinot Noir, released in October 1998. In 1999 the 1998 Pinot Noir collected a Silver medal at the Air New Zealand Wine Awards and in 2000 the 1999 Pinot Noir collected a Gold medal at the same awards. No wines were entered in the awards until 2008 as the quantities had been too small to qualify. In 2008 our Gewürztraminer, which at last qualified on quantity, was awarded a Bronze medal. In May 2009 it was also awarded a 'Commended' at the London International Wine Challenge. The home block has three varieties planted; Pinot Noir, Pinot Gris and Gewürztraminer. Sauvignon Blanc has not been planted on the home block but is sourced from elsewhere in Martinborough. Particular care has been taken with the selection of the clones of the varieties to provide the highest possible quality wine, and all the plants are grafted onto Phylloxera resistant rootstocks. With the exception of Pinot Gris, where only one clone, the old 'Mission' clone (now called the Barrie Selection) has been specifically chosen, several clones have been planted to provide complexity of flavour in the finished wines. There are several clones of Gewürztraminer, including the new 'Alsace' clones, and three clones of Pinot Noir, Abel (known locally as the 'Ata Rangi' clone), Pommard, and 10/5. The recent plantings concentrated on the Pommard and Abel clones as they have proved to be the most successful on the vineyard. Haythornthwaite Wines aims to produce high quality award winning wines. Our wine philosophy begins in the vineyard. We believe that quality wines can only be made from the best fruit we can grow through sustainable vineyard management. All work in the vineyard of pruning, bud rubbing, fruit thinning, leaf plucking and harvesting is done by hand. Frost protection is managed with burners - all hand lit in the dead of night. 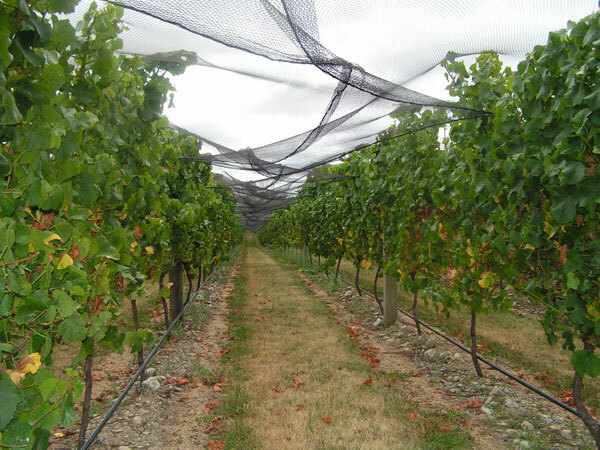 The vineyard uses black lock-out netting to protect the harvest from the birds.